Siem Reap, Cambodia in only 213 air miles away from Bangkok, the flight takes 45 minutes. Angkor Wat and all surrounding wats and temples are located minutes from Siem Reap. There is no reason- or way- to describe the wats and temples, go visit. There are four flights from BKK each day- take the early one, drop your bag at your hotel and head to Angkor Wat; if you take the 7:45 flight from BKK you can be at Angkor Wat by 10:00. It is possible to see the popular sights in two days (one night) if you take the late flight back to BKK or on to your next destination on the second day. Hire a driver at the airport or your hotel, it will cost around $30 per day. Your driver will take you to each wat and wait for you while you tour. The wats and temples are spread out, some are more than 5 kilometers apart, you will want a driver to avoid having to haggle for rides to each wat. 3. The exit tax is $25, paid after you check in for your flight; don’t spend all your money before your departure, this must be paid in cash (US$). 4. Wear comfortable clothes and shoes, it will be hot, dusty and you will be walking up and down stairs and on uneven stones all day. 5. Be prepared for the children selling books and souvenirs each time you arrive/exit a wat. 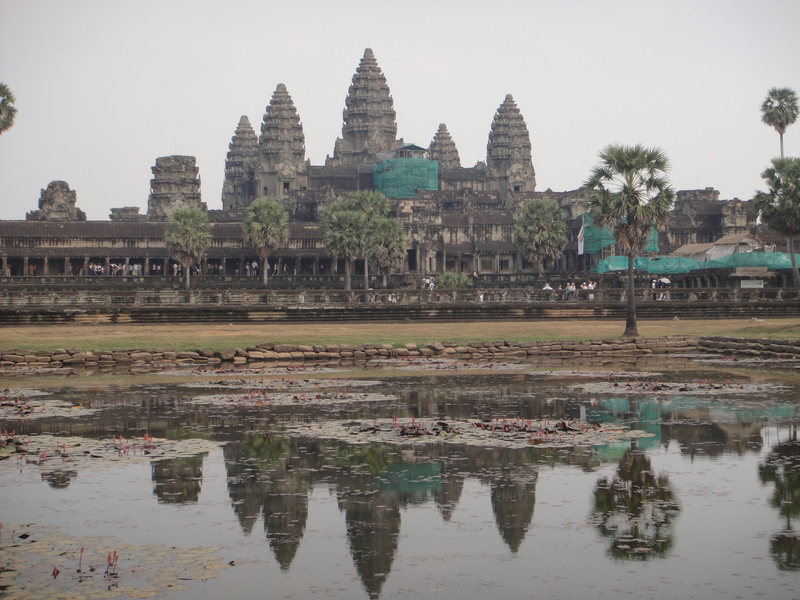 This entry was posted in Quick Trips From Bangkok and tagged Angkor Wat, Cambodia. Bookmark the permalink.